We first came across Messy Mutts at Backer’s Total Pet Expo, where the bold colors of their products caught our eye. We spoke with Chris, Top Dog at Messy Mutts, and learned a bit about the company philosophy. 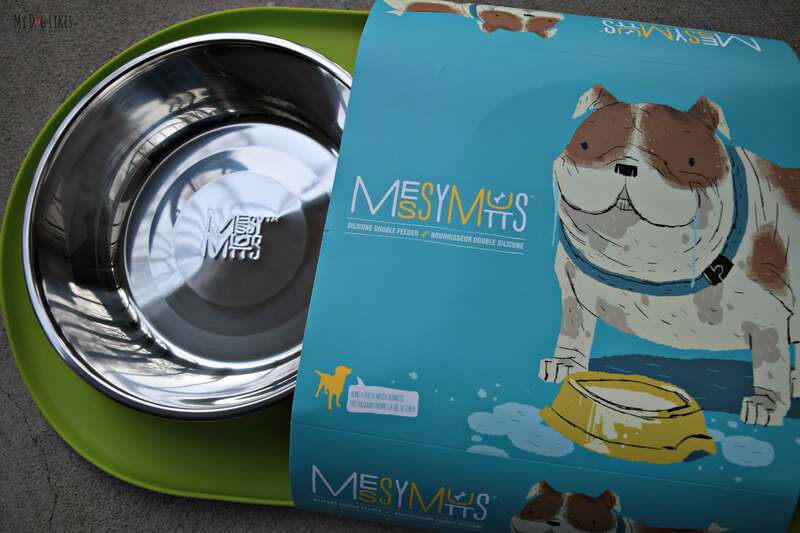 Messy Mutts aims to create dog products where fashion meets function. 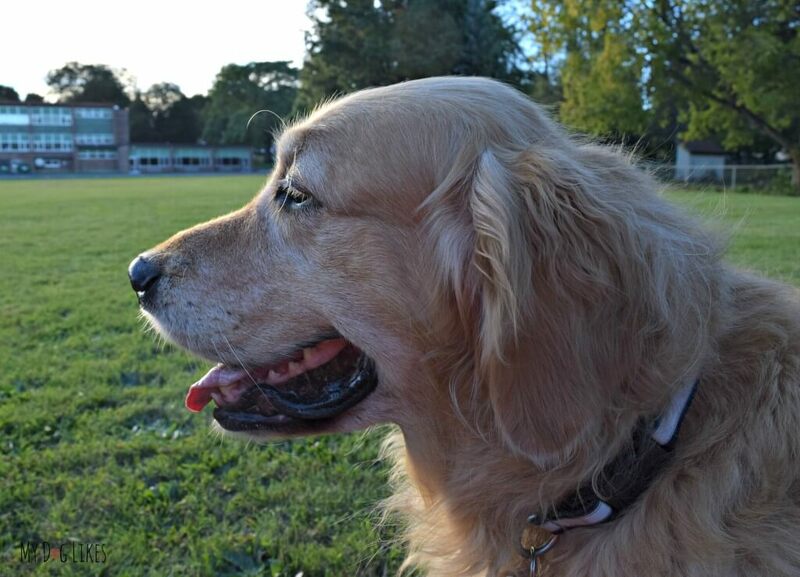 They offer a wide variety of products for grooming, feeding, bathing, travel and health. What these products have in common is a signature look – ergonomic form and bold modern colors. 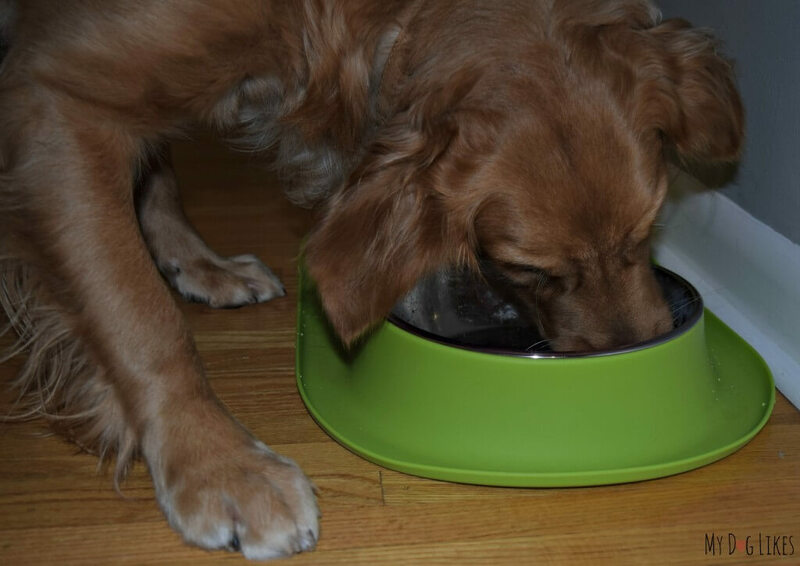 We were especially intrigued by their line of bowls and feeders and Messy Mutts was kind enough to send us a Silicone Double Feeder to review! The aesthetics – Listen, it’s not like we don’t like paw print patterns, but most people don’t plan their décor around the dog bowls. They can be a bit of an eye sore! 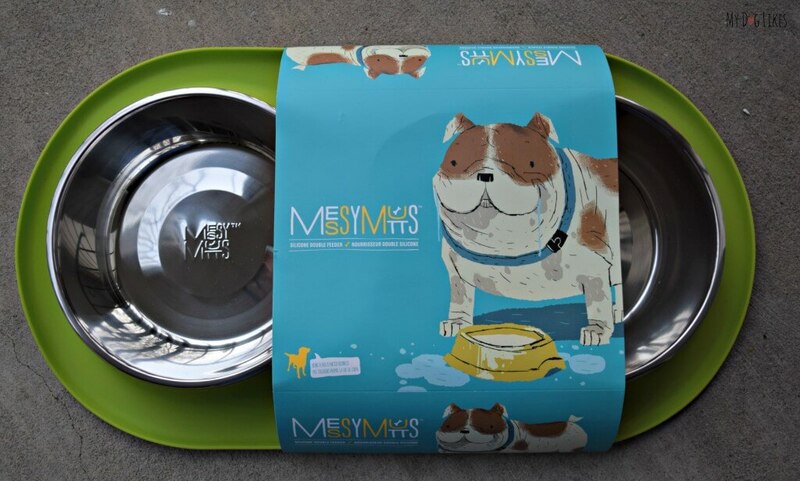 The Germs/Yuk Factor – We’ve been told that dog feeding bowls are among the messiest/germiest things in our home and they aren’t always easy to clean! 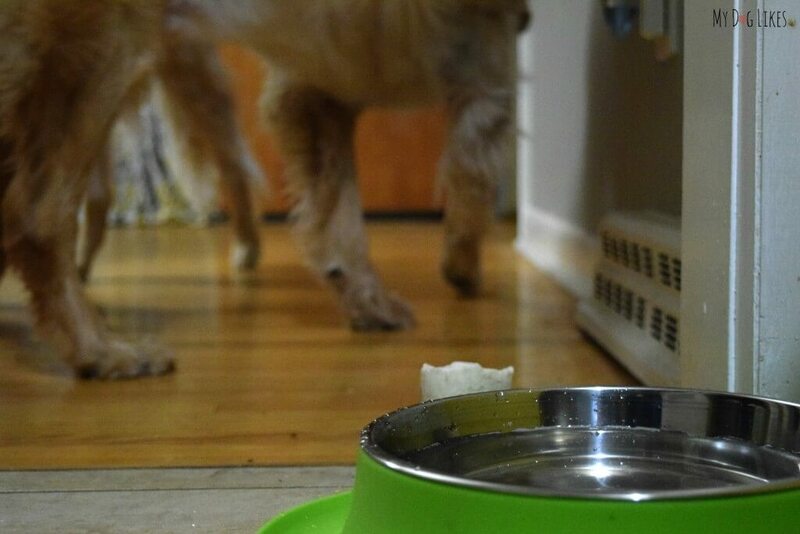 The Enthusiasm – Do your dog’s bowls start one place and end up in another? The Mess – Food ends up falling out of the bowl or perhaps your picky eater randomly decides which morsels are worthy of their time, dropping the rest for the minions. The Jowls – AKA Water Collection Units – Nobody likes stepping into a puddle of water with their socks on! 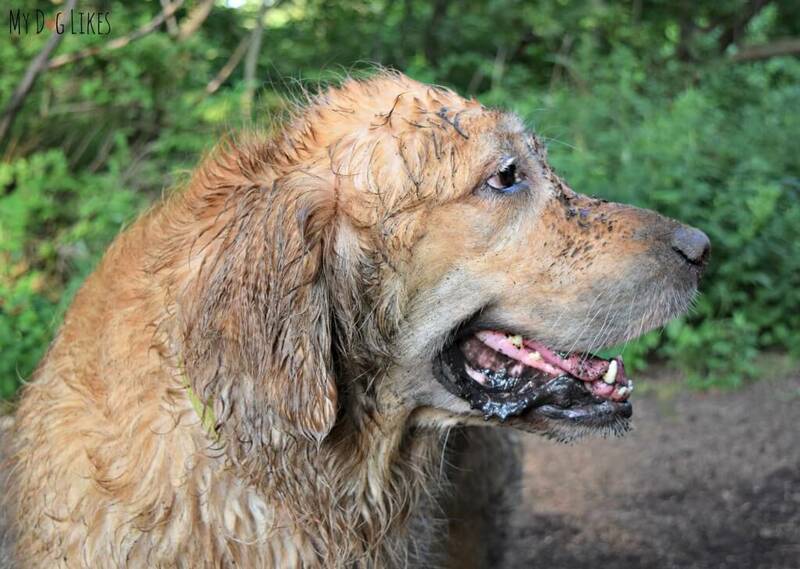 The Messy Mutt Products have an answer for each of these common problems! 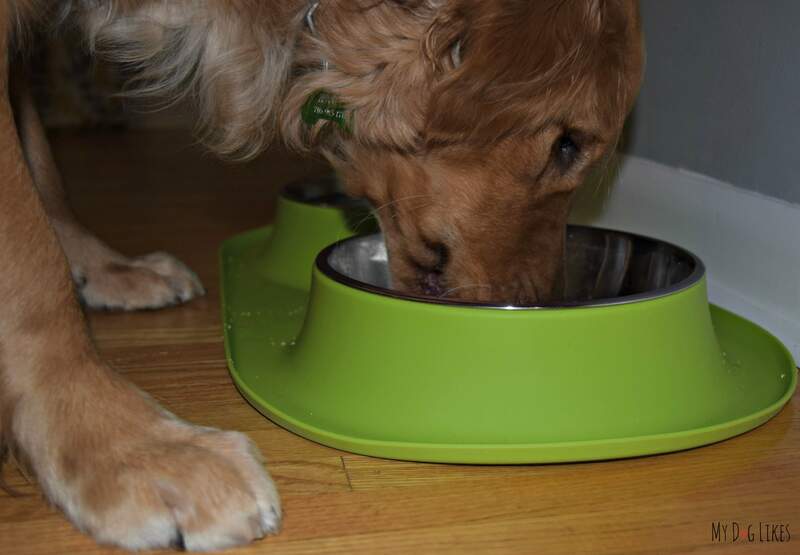 The Messy Mutts Double Silicone Feeder is simple, modern, and beautiful. 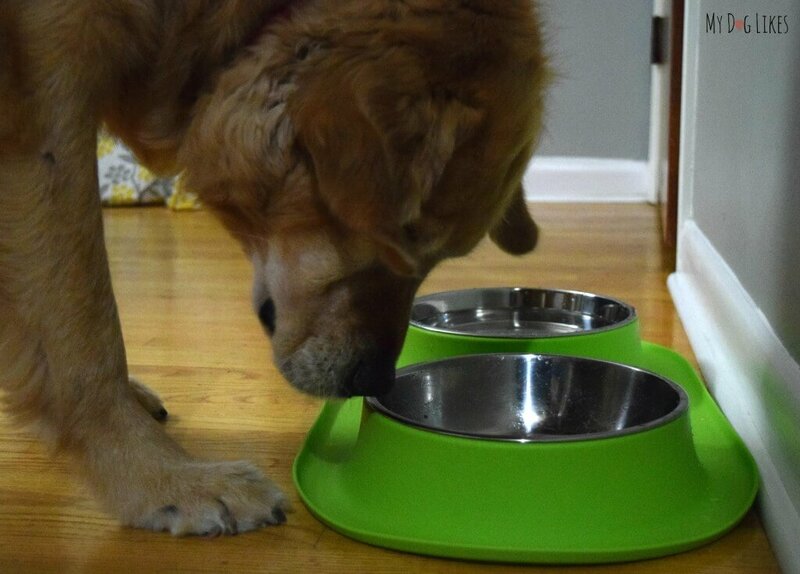 Consisting of 2 removable stainless steel bowls and a silicone base, the Messy Mutts Double Feeder comes in 4 colors: Green, Warm Grey, Blue, and Red. Chris “Top Dog” at Messy Mutts, didn’t buy into the idea that fashionable, trendy design and functional products needed to be mutually exclusive. With this belief, he set forward to design products that didn’t make pet parents choose. 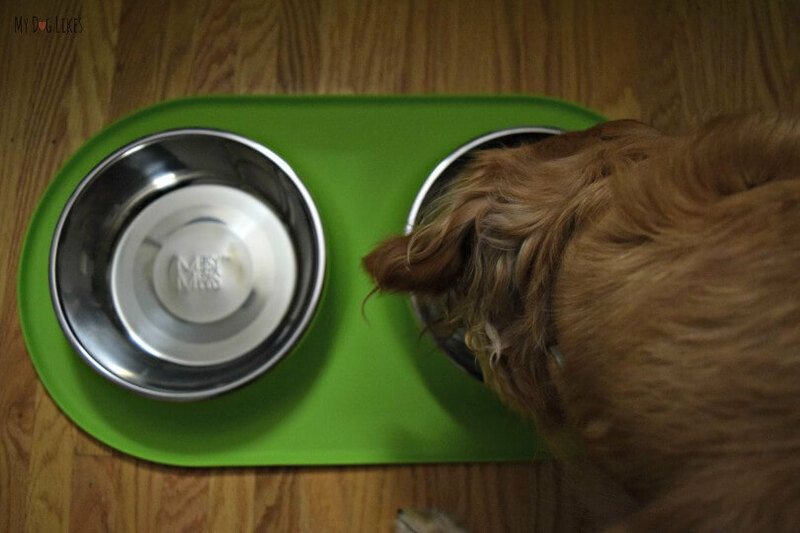 Using his background in housewares design, the line was born to make being a pet parent easier, cleaner and whole lot more fresh, fun, and stylish. Personally, I love the bright, bold color of the Messy Mutts line! It coordinates perfectly with my Kitchenaid Stand Mixer (Green Apple) and is a fresh burst of color in our still under construction kitchen. I know the dogs don’t care what the Feeder looks like, but I appreciate the fact that it looks like it’s out of a modern design magazine. As advertised, this product is more than just a pretty face (but oh is it nice to look at). Being a Messy Mutt is serious business and these products are all made of durable, flexible, non-slip silicone. 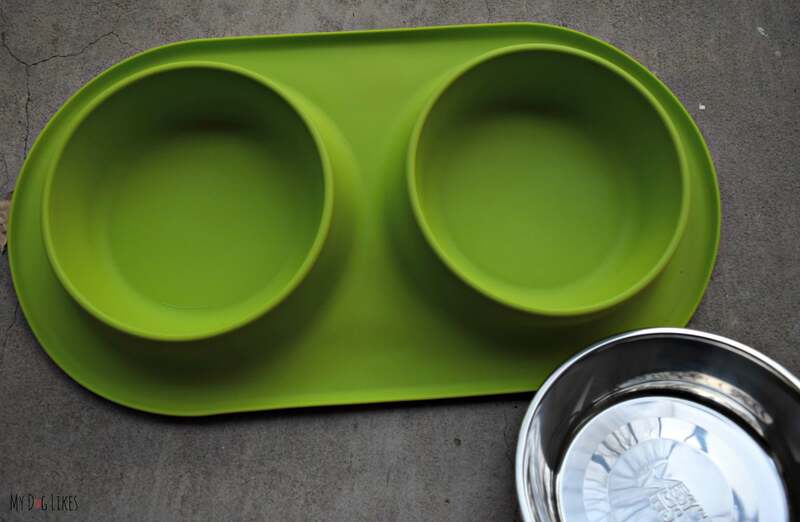 This silicone is FDA approved to be food safe and is free of BPA and PVC. This is important to us as our best friends will be eating around it and licking it daily! We love our pups and we learn to live with lots of little (and not so little messes), but if you are at all like me, you sometimes wish it was just a touch easier to keep things clean. I am happy to report that the Messy Mutt Double Feeder couldn’t be easier to keep tidy (and you get to keep the dogs :)). A quick wipe down with a towel goes a far way to soak up any spills or wipe down whatever was tracked in from the great outdoors. Still not satisfied? 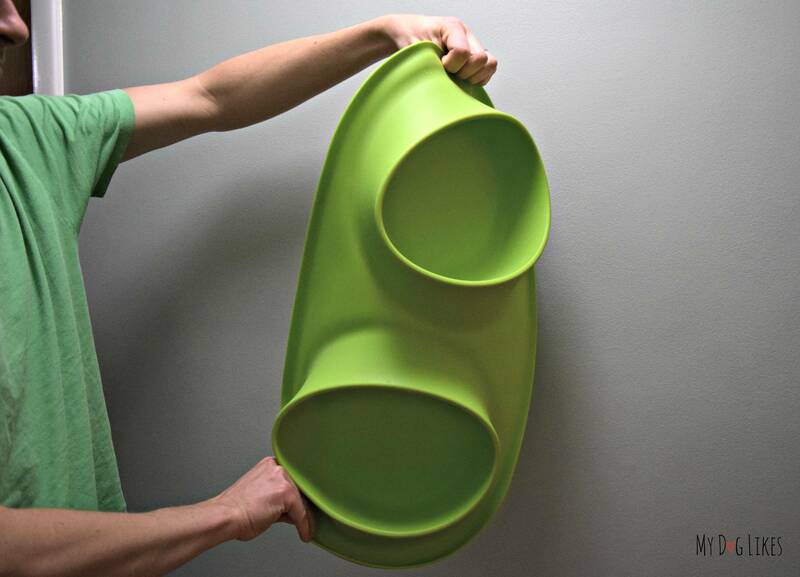 The stainless steel bowls and flexible silicone holder can easily be popped into the dishwasher for a deep clean! I LOVE this! 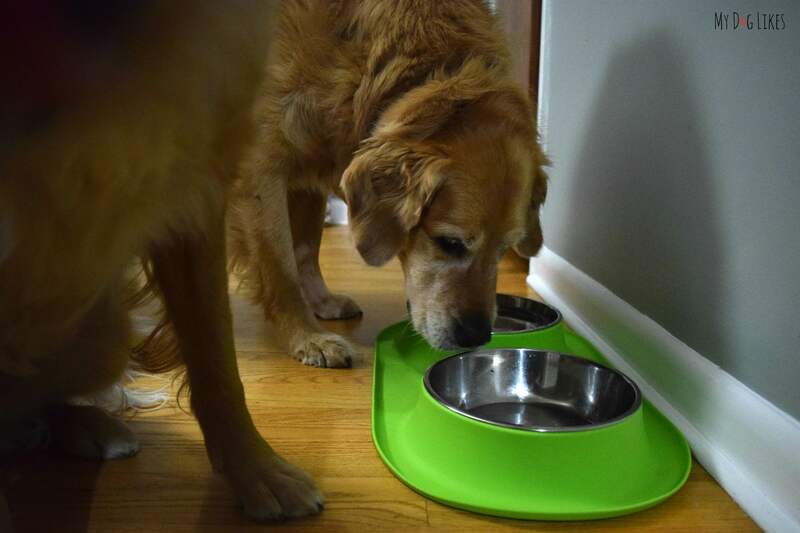 If you have an eager eater, you are familiar with this problem…Your enthusiastic eater scoots his/her bowl from one side of the room to the other, nosing it around in an attempt to get every last morsel of tasty dog food into their bodies as quickly as possible. If you catch a lucky break he finds a corner. Not so lucky and they push it under a table, the counter, or it directly into the path of the human traffic in the house. The no-slip silicone solves this problem. The feeder stays put and won’t create a hazard in the house! The silicone base has a wide lip as well as a raised rim to contain spills. 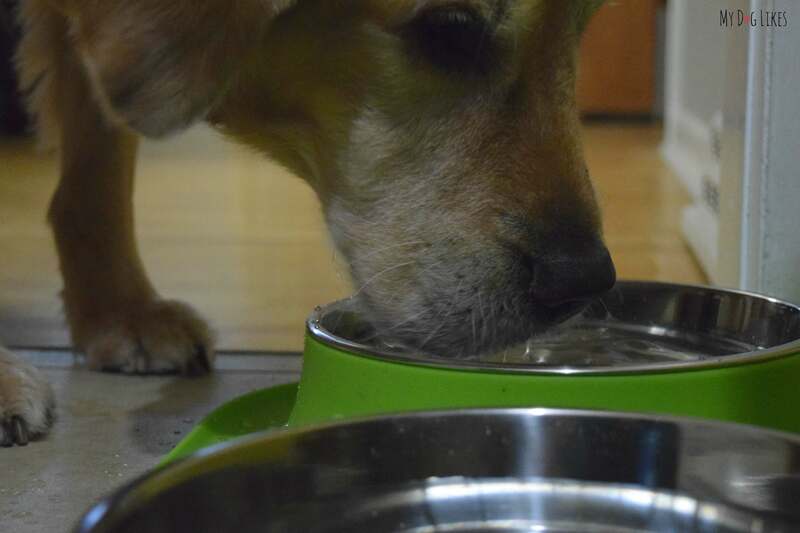 The large surface area catches all of those errant pieces of food as well as the drips faucet of water that sometimes leaks from those adorable faces after a long drink! Harley’s face must be able to hold 3 oz. of water at a time. 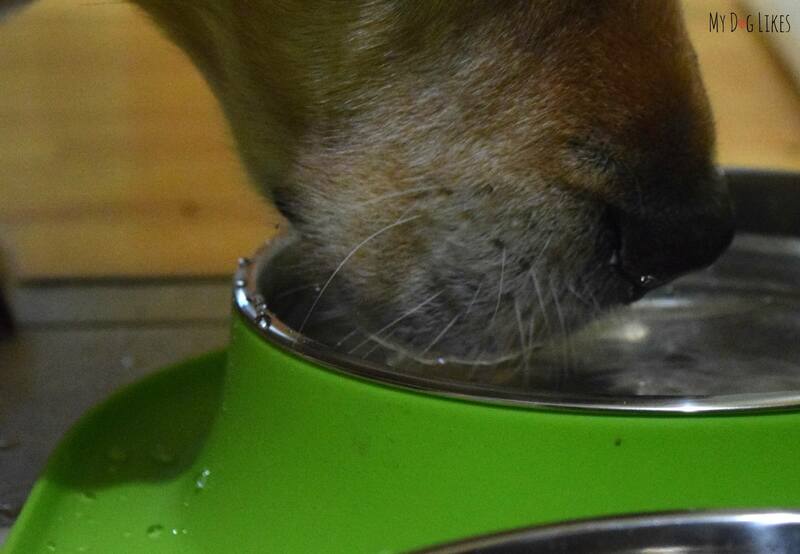 Adding to the problem are the cats of MyDogLikes, Max & Luke, who splash and drink out of the bowls as well. I hope I am painting a clear picture of the problem….typically, we are left with a soggy wet mess. With the kitchen under construction it’s been a case of musical water bowls. Of late, the bowls have been placed on the hardwood. In order to protect our floors, we have been putting towels down and changing them frequently. A wet towel with golden hair all over it is not exactly what I had in mind for the décor in my house! 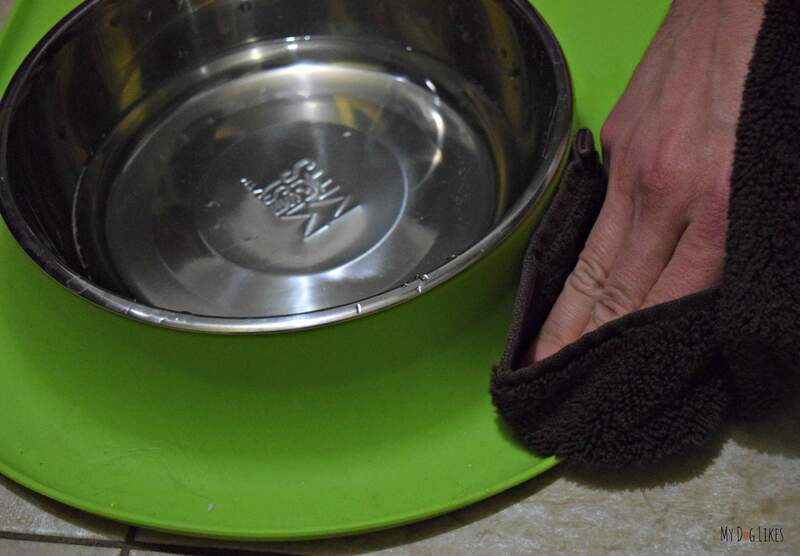 While the Messy Mutt Double Feeder didn’t prevent all water drops from spilling, I would estimate that 90% of what would have been on the floor (or soaked into my sock), was collected. If you have a dog that makes big water spills and this is a major concern for you, you could also try their large rectangular silicone mat! I think the video is proof, we love it! NO MESS! 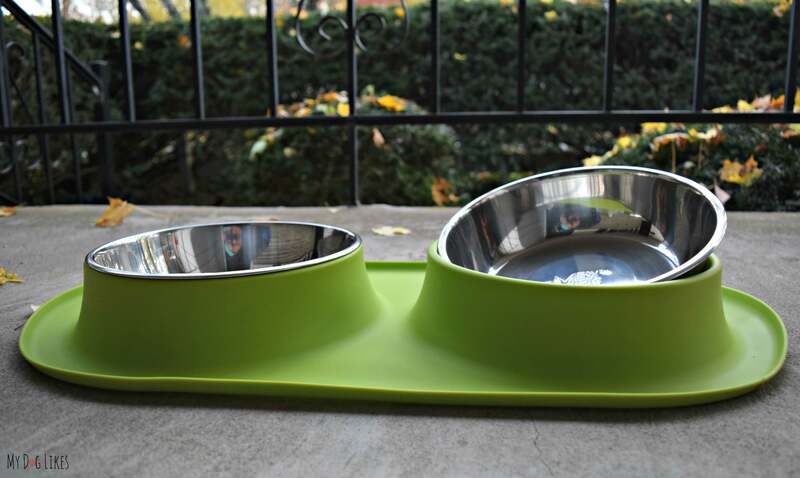 We love the bold, beautiful, and modern design of the Messy Mutt Double Feeder. 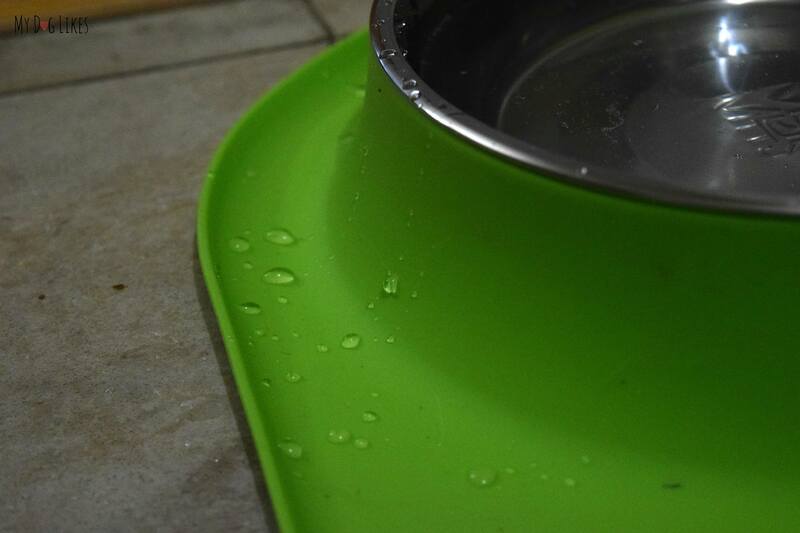 Leaving the water/food bowls out doesn’t feel like a design sacrifice; it seamlessly blends in while completely standing out! Not only is this feeder nice to look at, it is functional, catching tons of the drips and drops from our messy mutts! Lastly, cleaning couldn’t be easier, a wet cloth or a cycle through the dishwasher leaves it looking beautiful and spotless! Unfortunately the Giveaway below has ended! 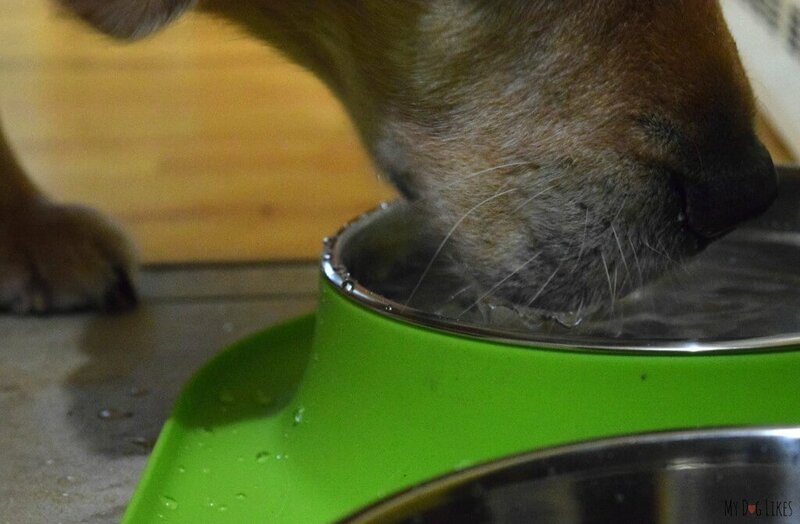 We are hosting a contest to win a Messy Mutts Double Feeder just like ours! All you have to do is submit a picture of your Messy Mutt! Let’s see those dirty dogs and the messes they have gotten into! Lauren, be sure to enter a photo of Zoe & Phoebe in our Messy Mutts Photo Contest for a chance to win one for yourself!! Oh yes….yes. This. But, I sense one problem (from my standpoint, of course): how am I going to present my Mom/Dad with my food bowl when I am unsatisfied with the lack of food in it?! 😉 Haha! Kidding, of course. I bet Mom and Dad would really enjoy this, since I bet the bowl wouldn’t travel/get chewed on/water wouldn’t be everywhere/etc. Your picture is great!!! Best of luck! be sure to share the link to your entry to get votes!!! Hmmm after seeing this product, I think my most frustrated problem might be solved. In the summer, ants love crawling into the bowl, so I need to put the bowl into a bigger container which filled with 1/2 inches of water (but the whole thing just look urgly). Now, I can put a bit of water in the skirt of this silicone…hopefully that will stop the ants from sharing the food.